As we reflect on Pi Day, we wanted to share a bit on what “Pi(e) Day” means to us here at iD Tech. 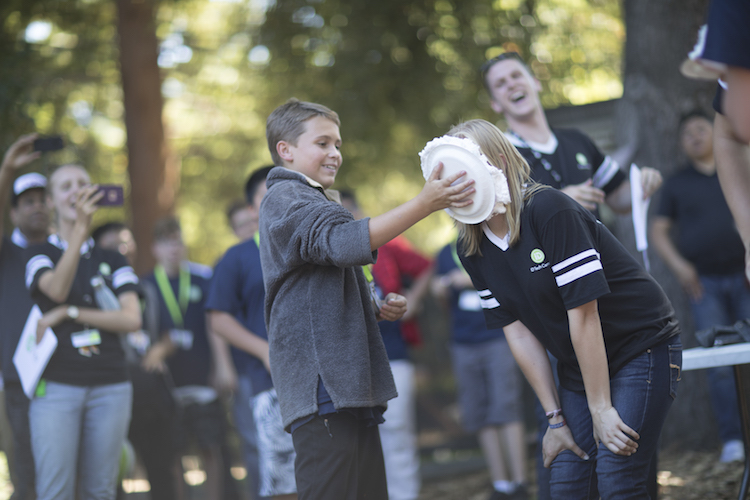 It was 2003 when a new tradition was born out at camp—the chance to “pie” your instructor. The legend began at our UCLA summer program, and sprouted from there. “Wanted” signs were posted around campus by a group of anonymous iD instructors, trying to persuade iD students to “vote” for a handful of unsuspecting staff. This “chance of a lifetime” was just one of the many options that were offered as camp raffle prizes. 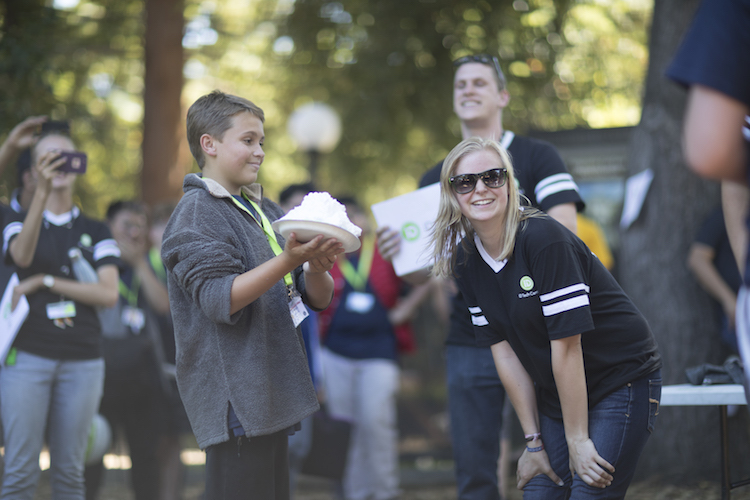 Since then, the Pie Prize has become part of iD tradition at our camps—coveted in end of the week raffles from coast to coast. A game console? How about a free week of camp? No, give me the pie. Little did we know that pieing your instructor would become popular to the point of reaching our entire location lineup, and then even out to our Regional Staff Trainings the next year. With time, the activity evolved. Real whipped cream eventually gave way to shaving cream in 2005. (Our staff are always asked to wear sunglasses to protect their eyes.) Instructors quickly found out that real whipped cream “stank the place up” like sour milk after a few hours, and the smell didn’t come out in the wash. Since 2003, over 15,000 instructors have been pied by enthusiastic students. “It’s an accolade from your students and the camp. It’s a way of engaging the entire camp in the culture of fun and creativity, and reminds us to be humble. "This is a way that we could bring everyone together on something fun and silly." "This was what made tickets so engaging and effective… good deeds done at camp could lead to an awesome chance to have that hilarious moment together with their favorite instructor."